Christian Ita, Chief Press Secretary to Governor Ben Ayade of Cross River State, has stated that he is successfully fulfilling his obligation of ensuring that his boss takes every space available for good publicity in the mass media. He made this position known today in a WhatsApp chat with LinCornellah’s blog. That chat was meant to get the Chief Press Secretary’s reaction to a report that bears the headline “Ayade’s media aide Christian Ita comes under fire for worst social media presence”. That report was published yesterday on Negroid Haven, a Calabar – based blog. It quoted several perceptions of Christian Ita as media aide, including the view of one Mr. Simon Utsu, who canvassed for the replacement of Christian Ita by another person. 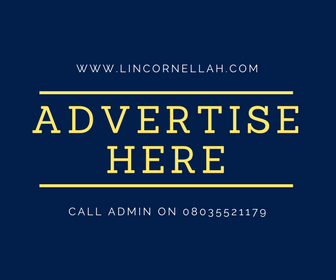 In this vein, Mr Ita told LinCornellah’s blog that his duty is “to burnish the image of my Governor without necessarily competing for media space with him. We have several online platforms we deploy from office. As such it is immaterial that they don’t bear my personal identity.” He added that the issuance of press releases is the least of the functions expected of a good image maker. Indeed, all Governors attract publicity by virtue of their prominent positions. However, some of them attract negative publicity. In Governor Ayade’s case, Vanguard newspaper, a widely read national daily, conferred an award of “Governor of the Year” on him, in March this year. Before then, Authority Newspaper named him as “Governor of the Year 2016”, just like TELL Magazine did, that year. This suggests that Senator Ayade’s Chief Press Secretary is doing a good job of polishing the Governor’s image in the mass media. Nonetheless, the sobriquet of “digital Governor” seems to raise public expectations of consistent excellence from Professor Ben Ayade and members of his cabinet, including all his aides.